Inclusivity is a solid business strategy. This is why more and more companies and entrepreneurs are zeroing in on the gold mine that is plant-based food—everyone from the meat eater to the vegan can indulge in a plant-based product. Bringing plant-based foods to more flexitarians and meat eaters has been a primary topic of discussion at The Good Food Conference. After all, it’s a major point of innovation for the companies and entrepreneurs who are gathered here. In particular, MorningStar Farms, a legacy player in this space, is focusing on opening up their portfolio to the widest possible consumer base. MorningStar Farms is finding opportunities to make more and more products fully plant-based (Their chicken line is now entirely free of animal products! Woot!) while also expanding their flavor profiles to cater to every palate. In fact, they just rolled out two new entirely plant-based patties that do exactly this: the Veggie Lover's Vegan Burger and the Meat Lover's Vegan Burger. Both are served up as a meaningful quarter-pounder you can sink your teeth into, but MorningStar is leveraging the many different possible definitions and applications of a plant-based burger. Check out the Veggie Lover's Vegan Burger (be still my heart). However, to access the larger market of meat-eating consumers, plant-based meat is what companies like MorningStar must deliver. Marvel at the Meat Lover’s Vegan Burger, packing 27 grams of plant-based protein. So why not offer both a condiment-worthy veggie patty and an indulgent, meaty plant-based burger that will sate those looking for the familiar umami of beef? 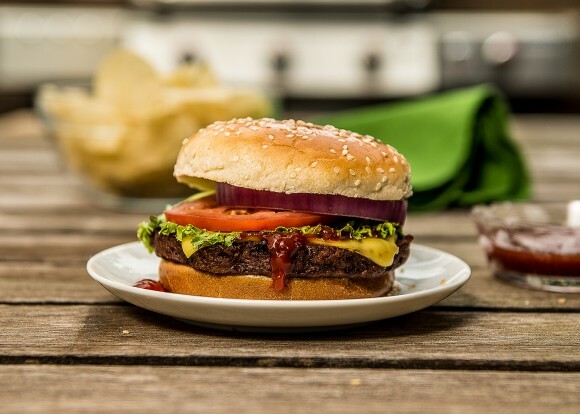 According to MorningStar’s consumer research, burgers are the point of entry for nearly half of consumers who are diving into the wonderful world of plant-based foods for the first time. Enter the Meat Lover’s Vegan Burger, crave-able and juicy enough to keep them coming back. 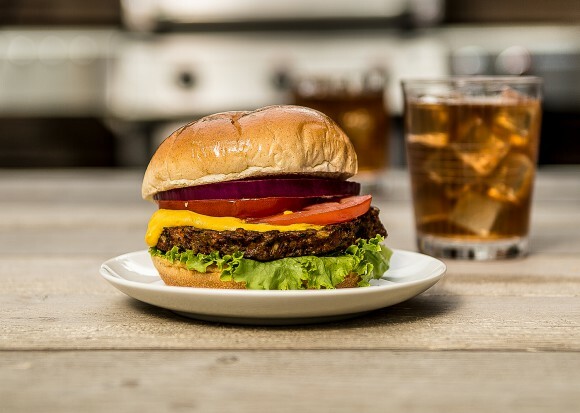 MorningStar took both of these new plant-based burgers on a victory tour of grocery stores and breweries across the country to spread the joy. And they brought them to The Good Food Conference for two days of cookout festivities. The verdict is smiles all around. Catch day 2 of The Good Food Conference on Livestream! Join the conversation on social media using #GoodFoodConference.